This lemon champagne cocktail is lively, refreshing, and perfect for summer. Lemon simple syrup adds just the right amount of sweetness and citrus flavor to this bubbly drink. Prosecco or other sparkling wine would also work for this cocktail if you prefer. So, when I was photographing this recipe, I downed an entire glass of this stuff in about 2 minutes. On an empty stomach. It’s no secret that I’m not a big drinker, and I don’t handle my alcohol well at ALL. That’s why the photos are so bad HAHAHA. Just kidding. I am trying to get better at taking photos of drinks, but I’m just never satisfied. I spent about an hour taking the photos, and these were the only two shots that I deemed useable. Oh well… that’s just how it goes sometimes. The light was not cooperating, and I was getting frustrated. I think I picked the hardest drink to photograph as well. It helps when you have something to focus on that isn’t just a clear liquid with a tiny twist of lemon! 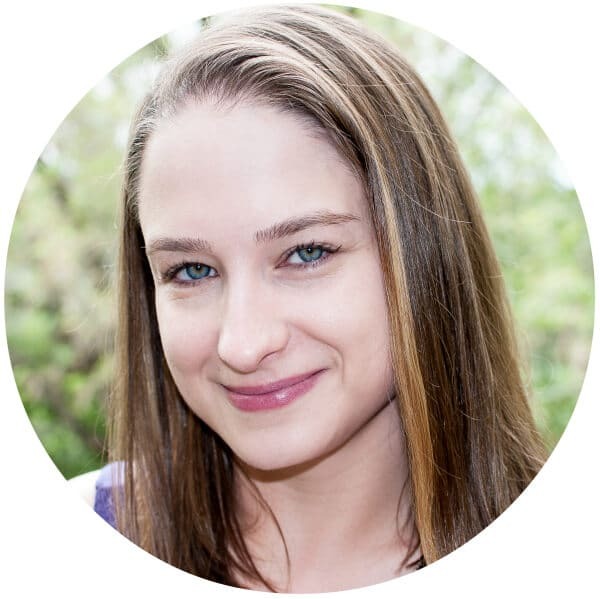 Way to go, Natasha. Just because the photos weren’t a runaway hit doesn’t mean the drinks weren’t. I really liked this cocktail. I had the idea in my head for a while, and I didn’t know if it would work or not. I wanted to keep this easy, so I made some lemon simple syrup (equal parts lemon juice and sugar), added 2 teaspoons to a champagne glass, and topped it up with champagne. I really like the flavor. It’s just lemony and sweet enough without totally overpowering the champagne. And for those of us who want a champagne cocktail without adding even more liquor to our drinks, it’s perfect. The syrup will keep in the fridge for about a week. Do you like champagne cocktails? I also made a pear one if you’re interested. 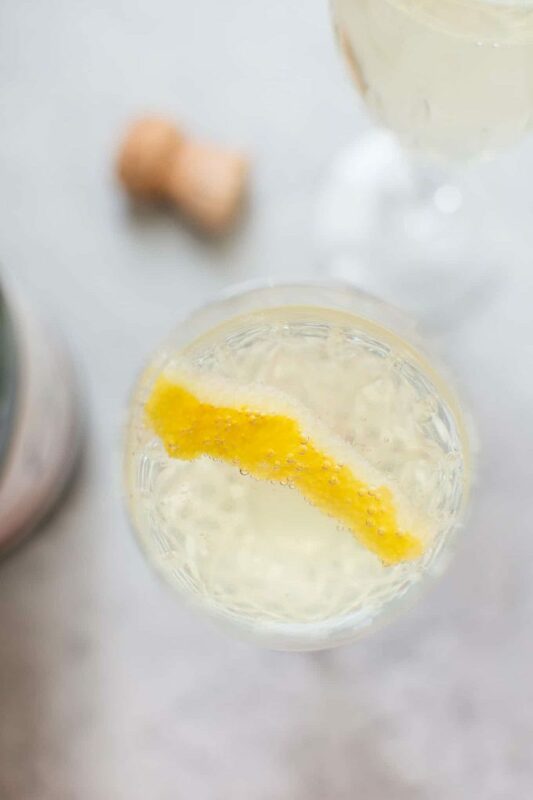 A lively and refreshing lemony champagne cocktail. Make the lemon simple syrup by adding the sugar and lemon juice to a small saucepan on medium heat. Simmer until the sugar fully dissolves (about 5 minutes). Let cool for at least 15 minutes, then transfer to a jar and allow it to cool some more. This flavored syrup will keep for about a week in the fridge. 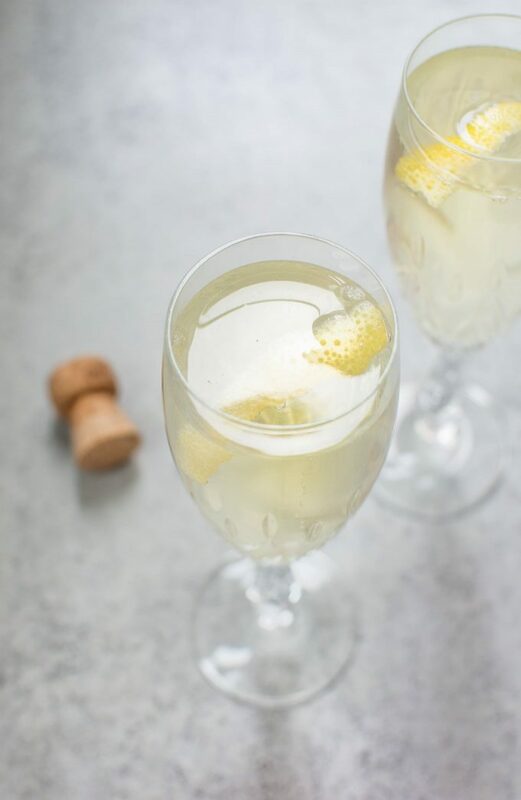 Add 2 teaspoons of lemon syrup to each of your champagne glasses. Add a twist of lemon (optional) to each glass. Top with champagne. This recipe will give you some leftover syrup. Depending on the size of your champagne glasses, an average-sized bottle of champagne will make 4-6 cocktails. The syrup doesn't get very thick, which works fine for these drinks. You could simmer it for longer if you want it thicker, but I didn't want to mess with the fresh lemon flavor too much by boiling the heck out of it. You can use the remainder of the lemon syrup for a number of things if you don't want to make more cocktails. I like making homemade soft drinks by adding some to a glass and pouring soda water over it. You could also pour it over fruit. I used a fairly dry champagne in the recipe.